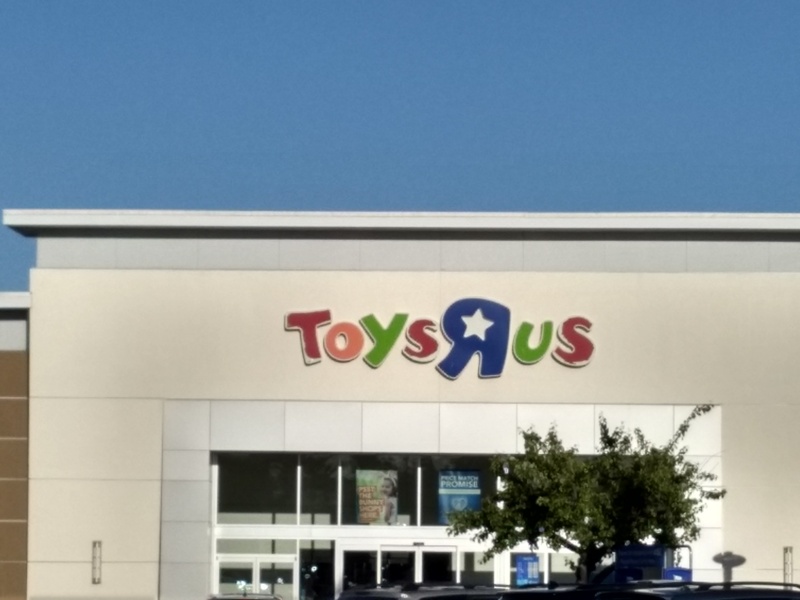 It was announced last week that, as the rumors suggested for a while now, Toy’s ‘R’ Us is officially closing up shop. While this was expected in many ways, due to the rise of online shopping and such, the news still stings for those of us who grew up in the last several decades, as it was the go-to toy store for many kids for generations. Of course I’ve long-since moved on to the likes of Amazon and such to do most of my video game shopping, but in my younger days, Toys ‘R’ Us played an important role in my introduction to the video game medium. Naturally, it was the place I would go to as a kid whenever it was time to pick up whatever game I had been eagerly waiting months for, with Nintendo Power and its ilk often directing me straight to Jeffrey the Giraffe’s abode on launch days. Those were the pre-EB Games days (which in turn were the pre-GameStop days, which predate these days of online shopping). Granted, I still visited more independent game stores than most kids my age at the time (at least I like to think so), but in my early years, Toys ‘R’ Us was the first destination I’d go to when it was time to pick up an anticipated game. Perhaps more notably, Toys ‘R’ Us was the place where I first encountered and discovered many games. At the expense of sounding like just another of the countless nostalgics on the internet, I do have to admit that kids in this internet age really will never understand what it was like to have toy stores play such a large role in gaming (that’s not a bad thing of course, just a different thing. But one that stings the nostalgia bone knowing that it’s a thing of the past). One has to remember that the internet only really came into prominence during the 2000s. In the 1990s, a kid wouldn’t get an alert on a cellphone informing them of the announcement of a new video game. And for me personally, Toys ‘R’ Us was my introduction to many video games before I even knew about video game magazines (when I say I’ve been playing video games for as long as I can remember, I mean it quite literally). I can remember the first time I saw Yoshi’s Island was at one of Toys ‘R’ Us’s gaming kiosks. For the sake of better context, I was born in 1989, and the Mario games (along with Zelda, Mega Man and Sonic) were a a big part of my childhood. I was still a wee tyke in 1995 when Yoshi’s Island rolled around, so every Mario game at that point was either long established before I was born, or released during my infancy, when I couldn’t really understand the concept of them being ‘new.’ And I must repeat that this was before the internet, and before my knowledge of gaming magazines existed. So for me, the Mario games that were out at the time were the Mario series. I didn’t know franchises could expand beyond the games I had sitting next to my NES and SNES. Suffice to say my mind was blown when my five-year old self was just on a regular trip to Toys ‘R’ Us and suddenly I see a TV screen with Yoshi’s Island on it. Yoshi was that dinosaur from Super Mario World, wasn’t he? What the hell was he doing in his own game? Why did this game look like a drawing (which was, and still is, one of the best art directions in the medium)? For a five-year old kid with no knowledge of the game’s development or promotion (if that gross-out disgrace of a commercial was on at the time, I hadn’t seen it); this was like some kind of phenomenon. Similar experiences happened the year prior and the year after. In the case of the former, it was Donkey Kong Country, whose state-of-the-art visuals certainly caught my eye in that Toys ‘R’ Us aisle (though the details are a little fuzzier on that one). In the case of the latter, it was Super Mario 64. Now, unlike Yoshi’s Island, I had actually heard that Nintendo was making some kind of “3D Mario game” beforehand. But I hadn’t seen anything of it up to that time. 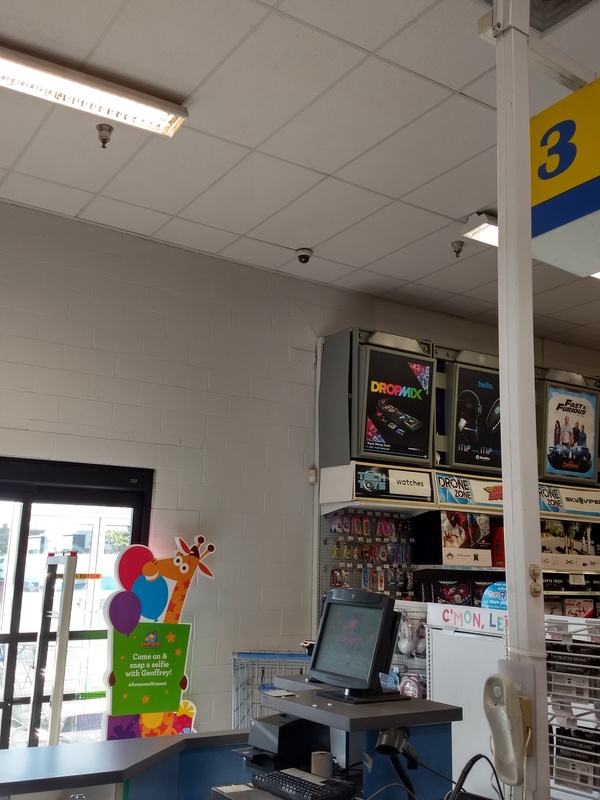 Once again, stepping into Toys ‘R’ Us and seeing Super Mario 64 at a kiosk and, actually taking a controller in hand this time, playing it for the first time, is a gaming moment I’ll never forget. I can even tell you what section of the game it was. It was the hallways of Peach’s Castle where you can follow that Boo to the castle garden, though I instead went into the lower chambers of the castle by using the key you get from beating the first Bowser fight (or the “Key from Zelda” as I called it at the time, as the key in question is basically identical to the boss keys from A Link to the Past). Going back to the era after I discovered video game magazines, my first time playing Majora’s Mask was also at a Toys ‘R’ Us, in which I fought against the game’s first boss, Odowla, whose shamanistic chanting has stuck with me ever since. Though unlike the previous memories listed, the “Majora’s Mask experience” was at a differing location than my ‘childhood Toys ‘R’ Us.’ The location of said Majora’s Mask experience is long-since gone, while my childhood Toys ‘R’ Us, for the time being, is still standing (yes, I can still remember the exact locations of where these gaming kiosks once stood). Okay, by now this is starting to sound more like “Video Game Memories” than “Toys ‘R’ Us Memories,” but the fact of the matter is, without Toys ‘R’ Us, I wouldn’t have these specific memories. And such memories spawning from Toys ‘R’ Us continued for a good while, and not just for games. Whether it was tracking down action figures from the upcoming Star Wars: Episode 1 – The Phantom Menace (a movie that would surely be good), or collecting every last one of those Digimon miniature figurines (which I proudly still have), Toys ‘R’ Us gave me plenty of childhood memories. The funny thing is, I even have some relatively recent memories of Toys ‘R’ Us. Around Christmastime of 2010, after seeing a Christmas stage show with my sister, we decided to stop by the nearby Toys ‘R’ Us on a nostalgic whim, where I was greeted by a beautiful “25th anniversary of Super Mario Bros.” kiosk. Sadly, the very next year when me and my sister tried to recreate the experience (after seeing the same stage show), the Toys ‘R’ Us in question had closed down. That was the first time in years I had stepped inside a Toys ‘R’ Us, and a few years later I would find another item to bring me back to the once iconic toy store: Amiibo. Now, I’m not exactly a big Amiibo collector (I own eight total, two of which came bundled together), but there are a few that I simply couldn’t resist forking over the thirteen-or-so dollars for. The only problem is that Amiibo have a tendency to sell out quickly in online stores, and most of the ones I had interest in were gone from GameStops within minutes. And well, I really wanted the Shovel Knight Amiibo. After being unable to find one online or at GameStop, I decided to check out Toys ‘R’ Us (my childhood Toys ‘R’ Us, as I happened to be in the area at the time). Lo and behold, they had at least a dozen Shovel Knight Amiibo. From then on, whenever I wanted an Amiibo, I knew exactly where to go, and it never failed. Sure, this was maybe telling about the future of the store chain (if a popular item can be easily found at a specific location, how many people are going to that location? ), but it certainly was convenient whenever I wanted an Amiibo (what’s that? The Zelda 30th anniversary Amiibo are impossible to find? Not at Toys ‘R’ Us they weren’t!). More importantly, it gave me a means to revisit the aforementioned memories, and many others. Yes, Toys ‘R’ Us is only a toy store, and its inability to adapt with the times probably had as much of a hand in its downfall as its online competition. But for many of us, those trips to Toys ‘R’ Us were pure childhood bliss. For those of us who grew up with video games, Toys ‘R’ Us was a contributor to our love of the medium. And for someone like me, who hopes to one day make a game or two (or five, or ten) of my own, these early gaming memories of my life have clearly left an impact. I can still make my dream of making games a reality. It’s just a shame no one will ever get to see them at a Toys ‘R’ Us kiosk.